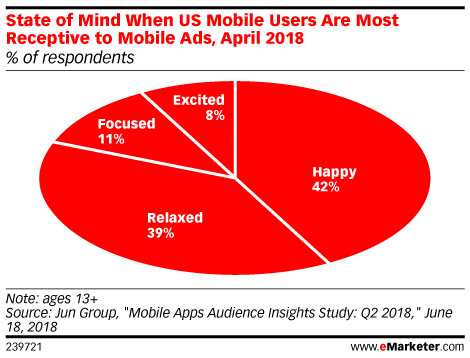 Data is from the July 2018 Jun Group report titled "Mobile Apps Audience Insights Study: Q2 2018." 500 US mobile device users ages 13+ were surveyed during April 2018. The survey was fielded on mobile devices (Android & iOS) via Jun Group's value exchange platform where audiences opt in to answering a question in exchange for access to entertainment, virtual currency or other digital content. Jun Group is an advertising platform.